Pipe corrosion occurs almost immediately as soon as water mains are put into service. 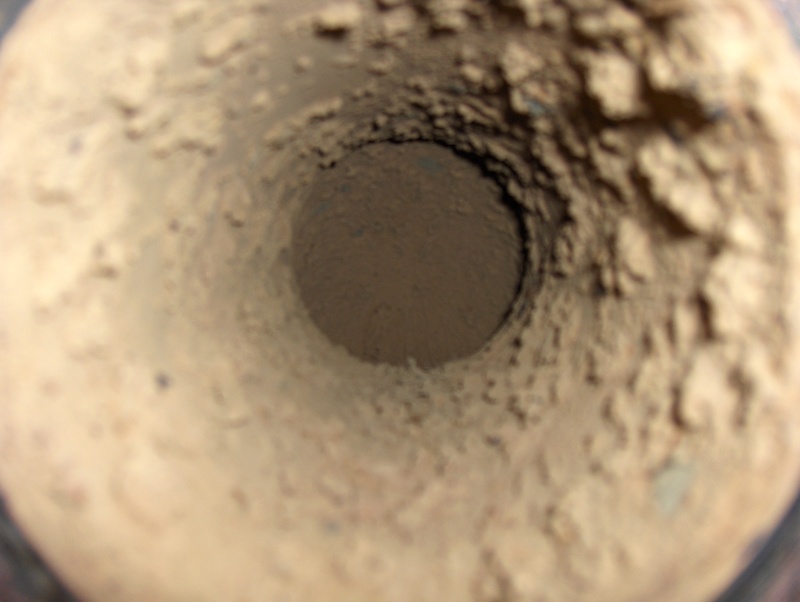 Chlorine and oxygen corrode the pipes from within and the results are well known: discolored, bad tasting and foul smelling drinking water. This water also contains harmful heavy metals that have leached from the pipe into the water. Of course, as corrosion deposits build up, flow is reduced and heat transfer is impaired on heat exchange surfaces. 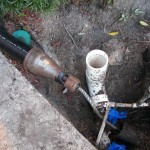 Ultimately water mains may burst and smaller diameter pipes get pinhole leaks. 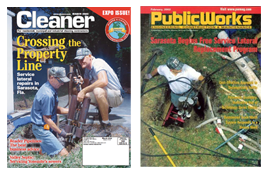 Any of these three methods will restore and renew the piping system and quickly eliminate dangerous leaching of heavy metals into the water. The choice of water main pipe lining method depends on access, ground conditions, and which method is the most cost-effective and time-saving. 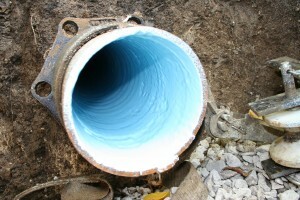 Water main pipe lining using CIPP starts by thoroughly cleaning out (“pigging”) all the corrosion deposits. Then a long tubular “sock” is saturated with self-hardening epoxy resin (UL classified to NSF/ANSI Standard 61 and is approved and UPC-listed). Then the lining is inserted into the water main and inflated for around 3 hours under air pressure, which pushes the liner against the water main host pipe. After curing the water main pipe lining is complete, and the pipe is put back into service.